My 2019 Ford GT Carbon Series Has Arrived! 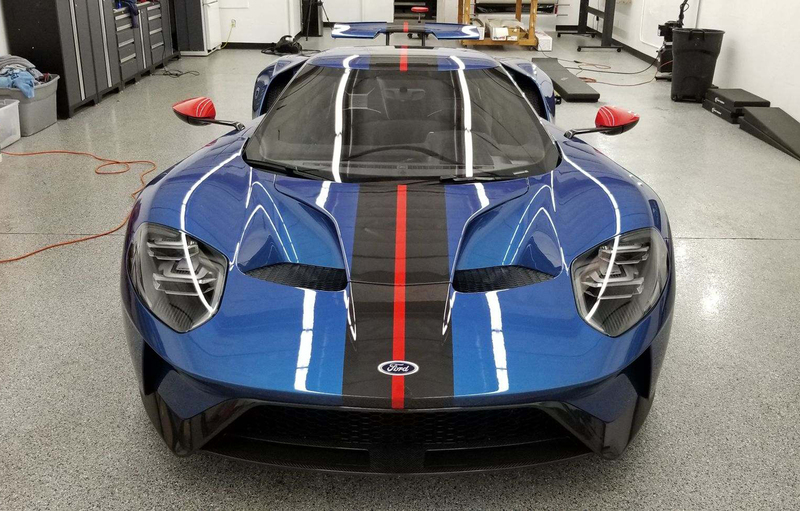 My 2019 Ford GT Carbon Series emerges from the Reliable carrier. I first saw the new Ford GT at the Detroit Auto Show, when it made its world debut at the Ford press conference in Cobo Arena. At the time I didn’t know how many new Ford GTs would be made, how much they would cost, or if I could ever get one. Of the last 4 years I’ve learned the answer to the first two questions, and last week I definitively answered the final question. The Liquid Blue with Race Red accents looks as good as I imagined it would. 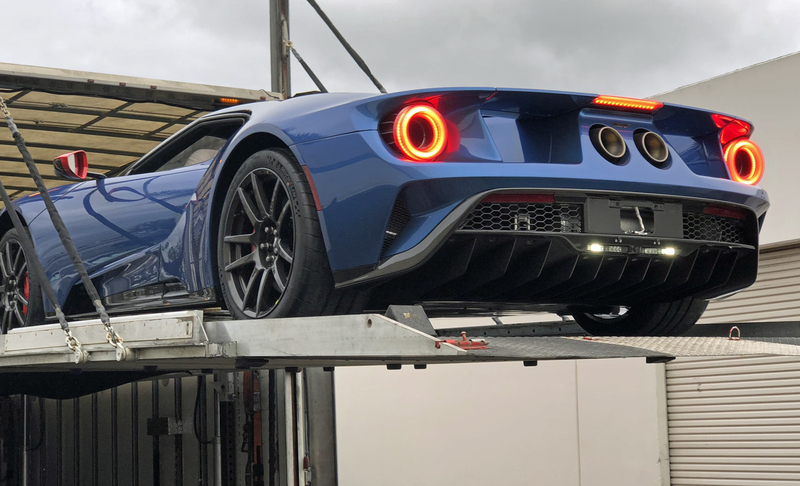 My 2019 Ford GT Carbon Series arrived on a Reliable truck after hauling it all the way from Multimatic in Markham, Ontario (just outside Toronto). It was a rainy week in Southern California, and the day it arrived the rain fell from sunrise to sunset…except for the 2 hours surrounding my new Ford GT’s drop off. I appreciated not having to run between the detail shop where it was delivered and GT’s cabin. Instead I was able to capture the event on video as you can see below.